P.B.W. is a buffered alkaline detergent that has been proven to be more than an effective substitute for caustic soda cleaners. Because of its unique formulation of buffers and mild alkalis, it is safe on skin as well as soft metals such as stainless steel, aluminum, and on plastics. P.B.W. uses active oxygen to penetrate carbon or protein soils and is not effected by hard water. The oxygen also helps in reducing B.O.D. and C.O.D. in wastewater, which is an added environmental benefit. P.B.W. has been formulated as a C.I.P. 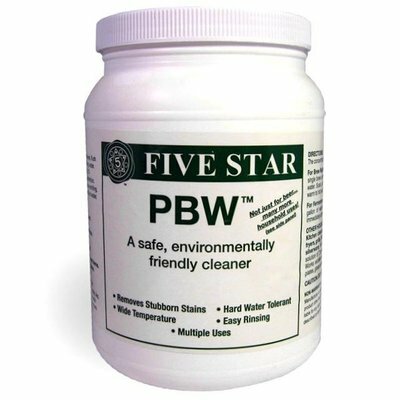 cleaner and is very effective in removing protein soils found on brew kettles, fermentors, conditioning tanks, filters and all packaging areas. The concentrations to remove these soils are typically in the 1% range. However, due to soil and water conditions this concentration will vary. 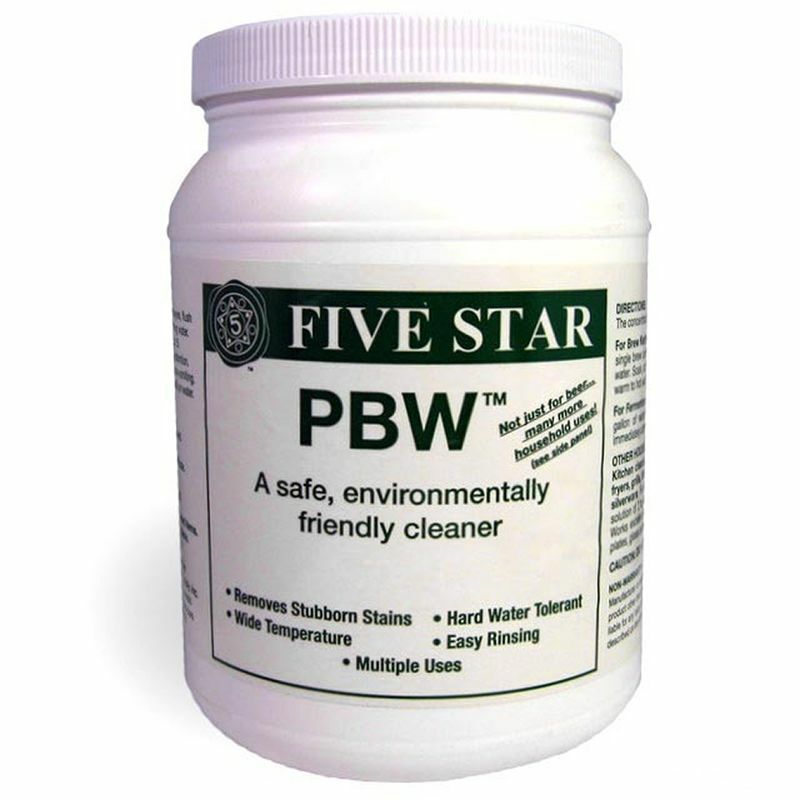 To help in hard water areas P.B.W. has been formulated with enough chelators to tolerate hard water over 17 grains. P.B.W. 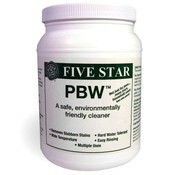 is an excellent choice as a soak cleaner because it does not require excessive heat as do most caustic based cleaners. This product has cleaned brass and copper filters, and industrial aluminum surfaces successfully.